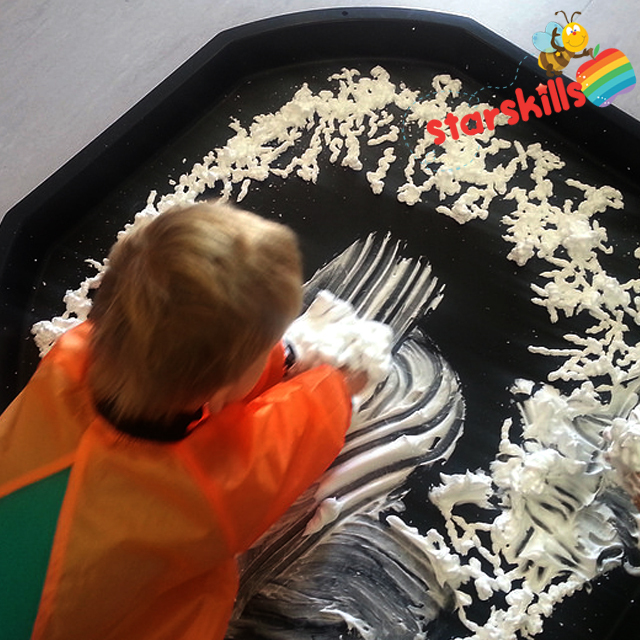 Sensory Play or Messy Play is play that allows children to be fully engaged with their senses. 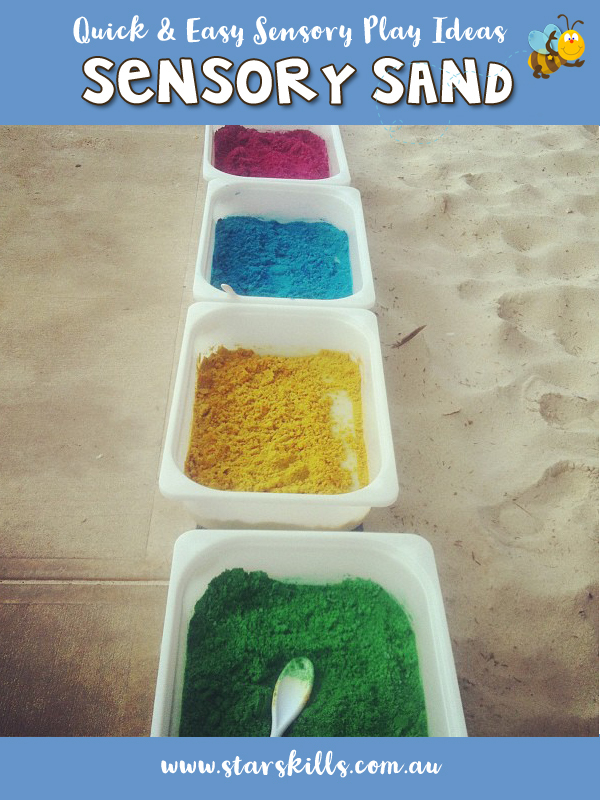 Children use their 5 senses to discover and explore when involved with sensory play. Their sense of sight, hearing, touch, smell and taste. By providing opportunities for sensory play children have the opportunity to not only develop their senses but they also develop holistically. Children will develop their cognitive, physical, creative, literacy & numeracy, oral language and creativity skills. 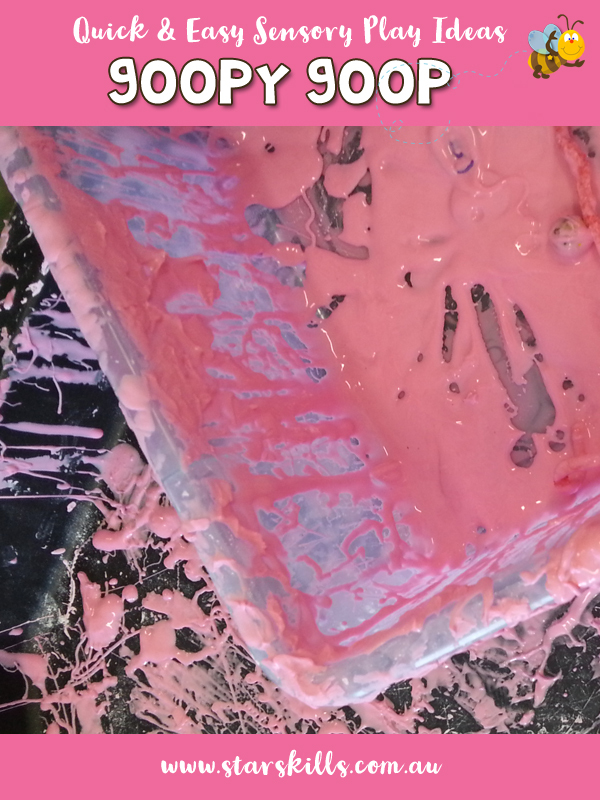 Sensory Play is fun, messy, creative and necessary! 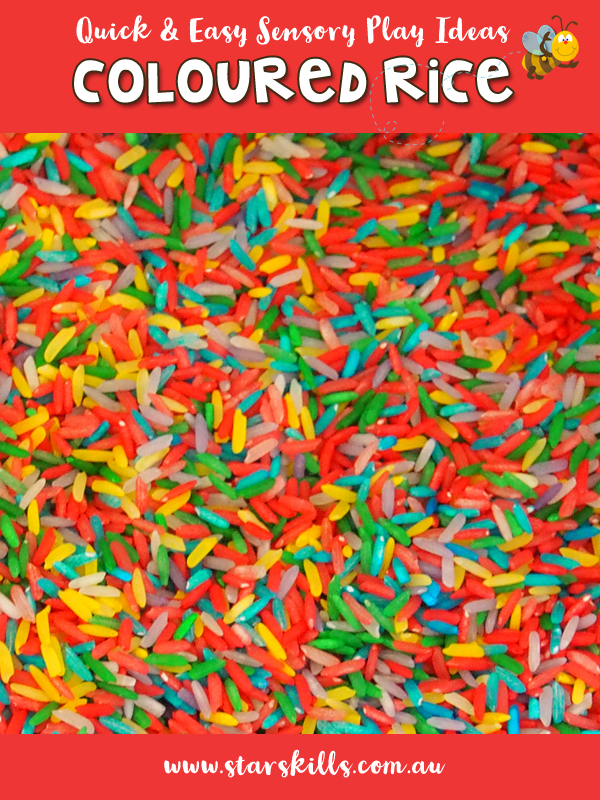 Sensory Play is very important for children as it helps them to integrate all their senses. Sensory play helps children process all the information the brain receives from touching,smelling, tasting, hearing and seeing. There are a number of different types of sensory activities you should consider for each modality. 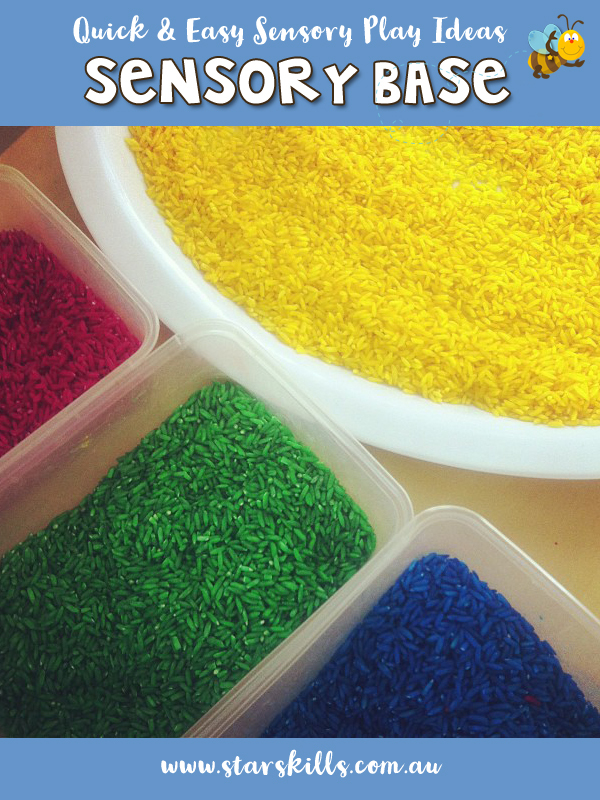 Within each Sensory Play experience there are different senses being engaged. In my early learning class I work with 3-5 year old children. 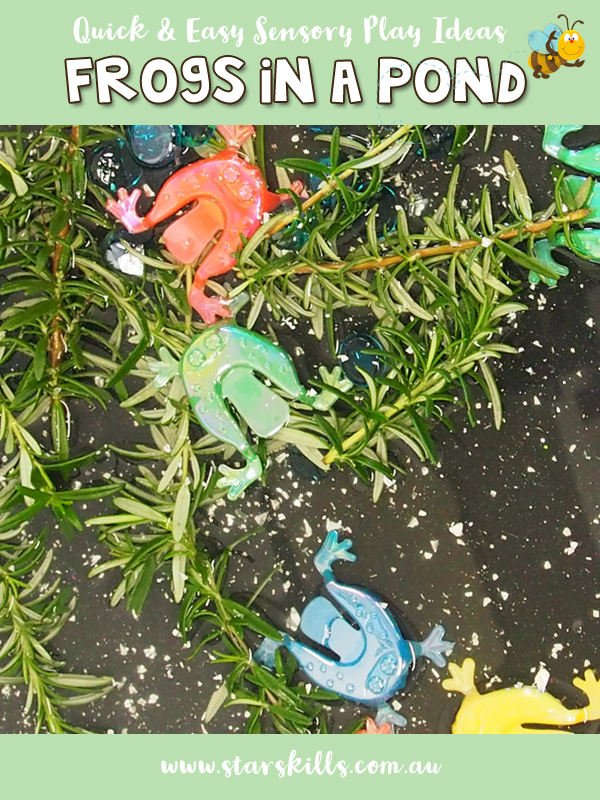 Here are some fantastic sensory play ideas we have enjoyed. I try to create experiences that tie in with our weekly learning. In particular our 40 Weeks Starskills Program which provides the literacy and numeracy focus each week. I have not had a huge budget so cost is a major factor when planning such experiences. 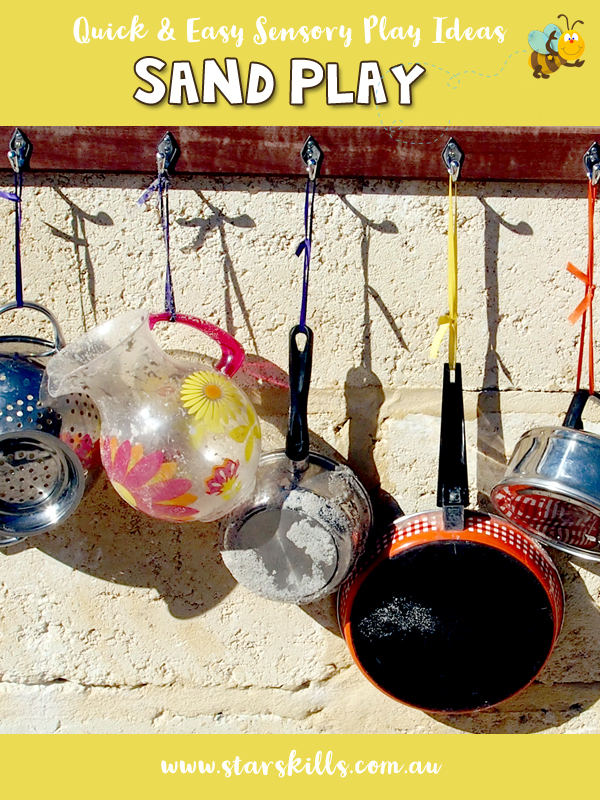 Using resources in the kitchen and in your room can keep ongoing costs down. Also, parents are our best resource so having a roster and a means for getting them involved can keep your program running smoothly. 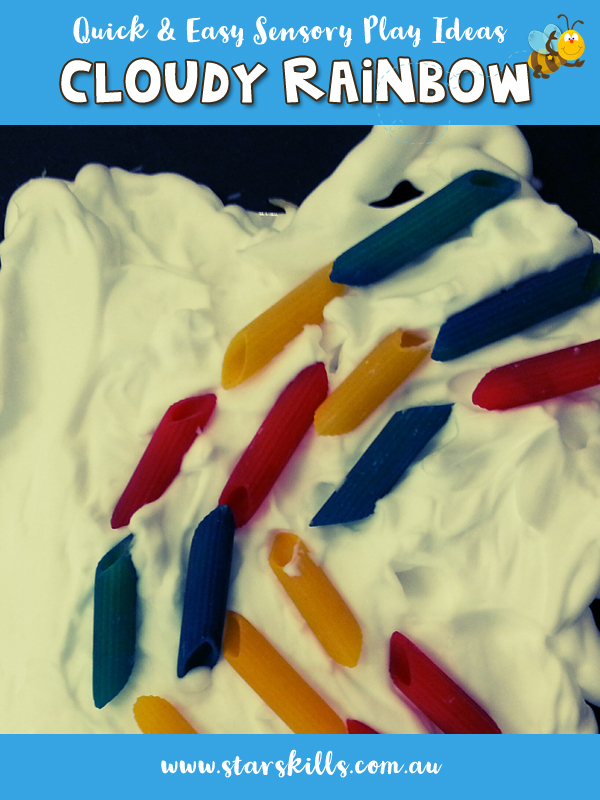 I boiled some spaghetti and added blue food colouring to make the “sea”. The children had to use tongs to dig for pearls and precious treasure. Using tongs is a great way to help children develop greater strength in their hands which is so beneficial for pre writing skills. By using a range or tongs and tweezers you will develop strength but also the pincer grip which helps children with their placing of their fingers for their pencil grip. A is for Aqua Anemone! On our first day looking at the “Aa” sounds we played with “Aqua Anemone”. Each child took some home with the letter of the week in a zip lock back. To make it a little more “life like” you can fill your tub with water so the anemone are floating”. There is one little boy in my class who is obsessed with Animals. He loves to read encyclopaedias and facts about Animals. I decided to create a Safari Sensory experience with this little boy in mind. He absolutely LOVED it. 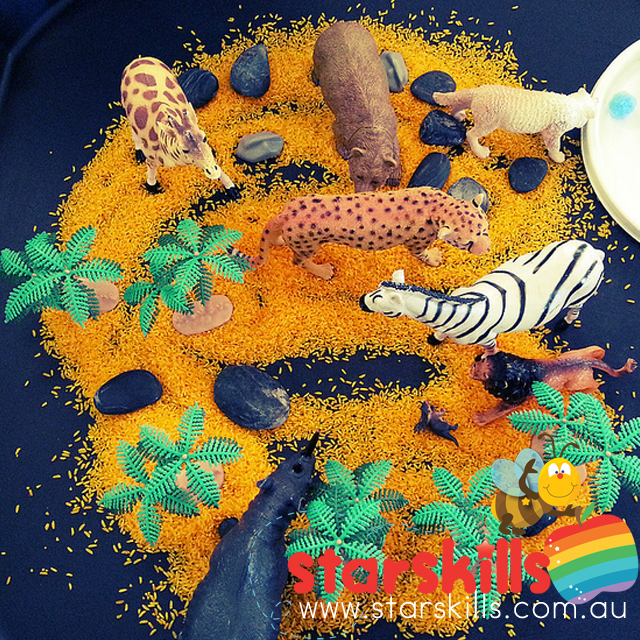 In the safari sensory experience I used yellow coloured rice, pebbles, blue pom poms for water, animals and trees. The little boy who was engrossed with the Safari decided the animals needed water and asked for blue pom poms. I am always amazed by the ideas children bring to play. We just need to listen and keep learning alive and moving. 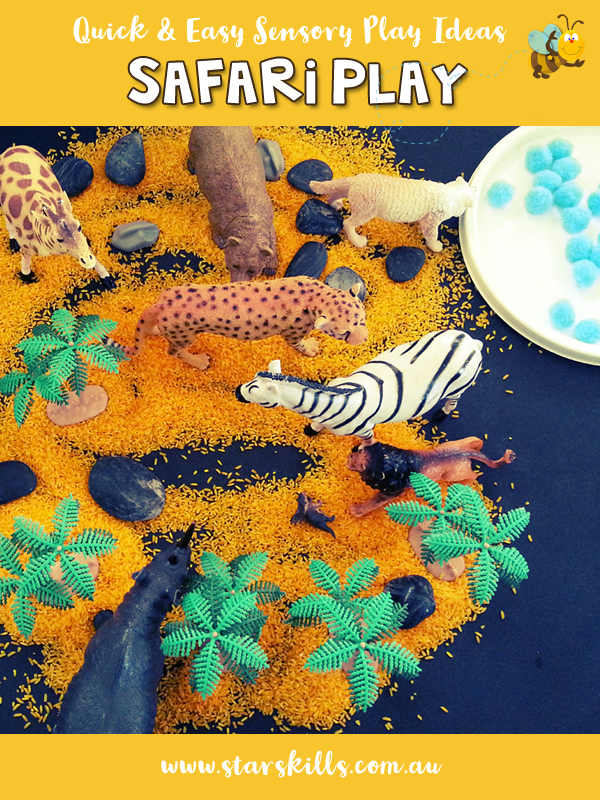 Click here to find out more about Safari Sensory Play. 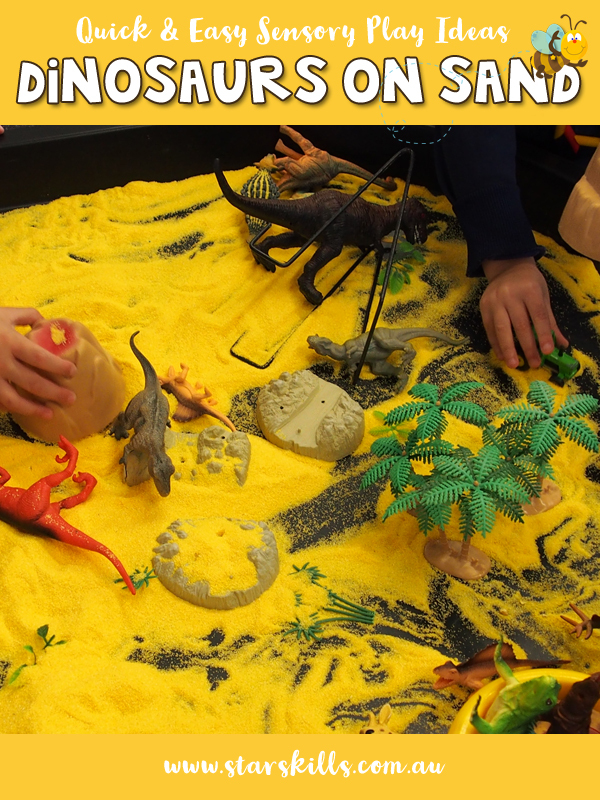 So the children are really loving Dinosaurs so to give a little change to the sensory play I added sand – polenta! How brilliant does it look – I love it! More importantly seeing the children engaged – talking and communicating with others is priceless! Looking at this Dinosaur melt takes me bak to an awesome day!!! 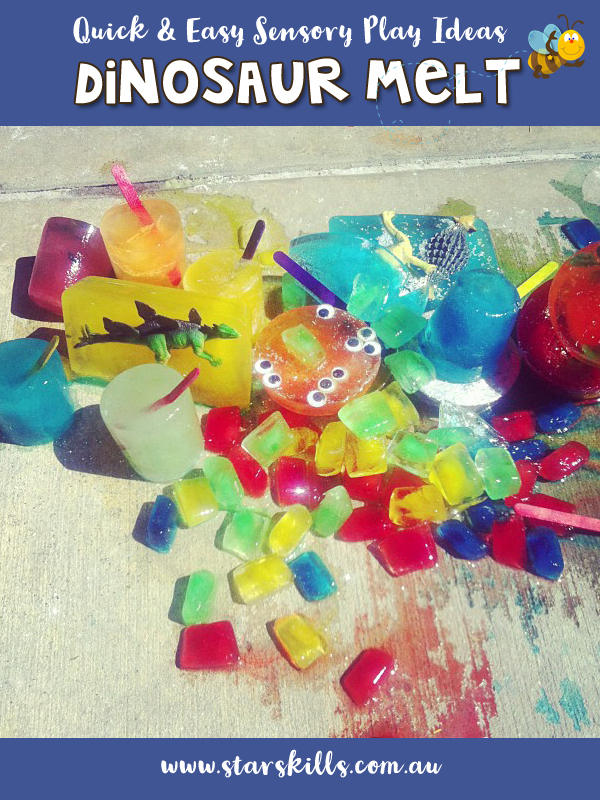 We froze dinosaurs, eyes, pom poms, pop sticks, glitter – anything. The purpose of this activity was to see how the heat can melt ice. 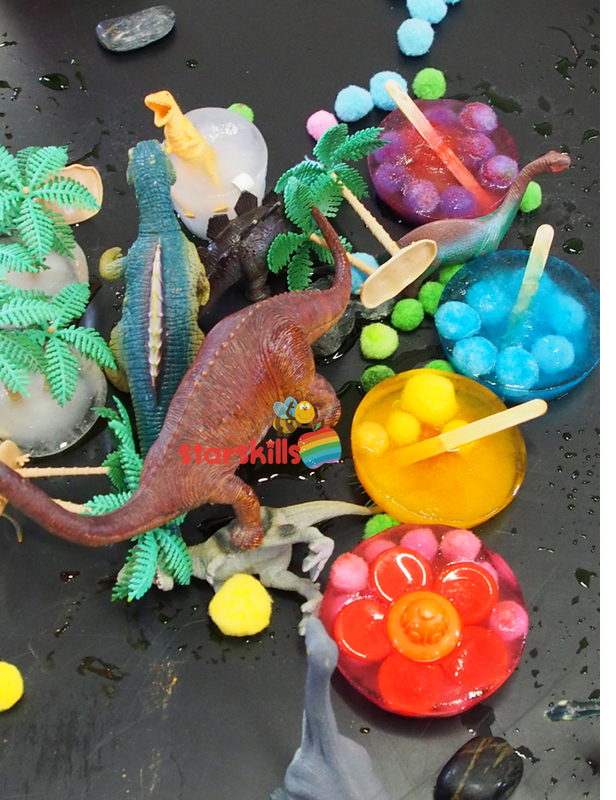 We watched the ice melt and the kids squealed as I brought out all the “trapped” dinosaurs! It was a hot day so children were able to do coloured paintings on the pavement. The running colours were beautiful. So much learning and discussion. Mixing colours – making new colours. Chipping away at ice blocks like archeologists and asking very interesting questions! 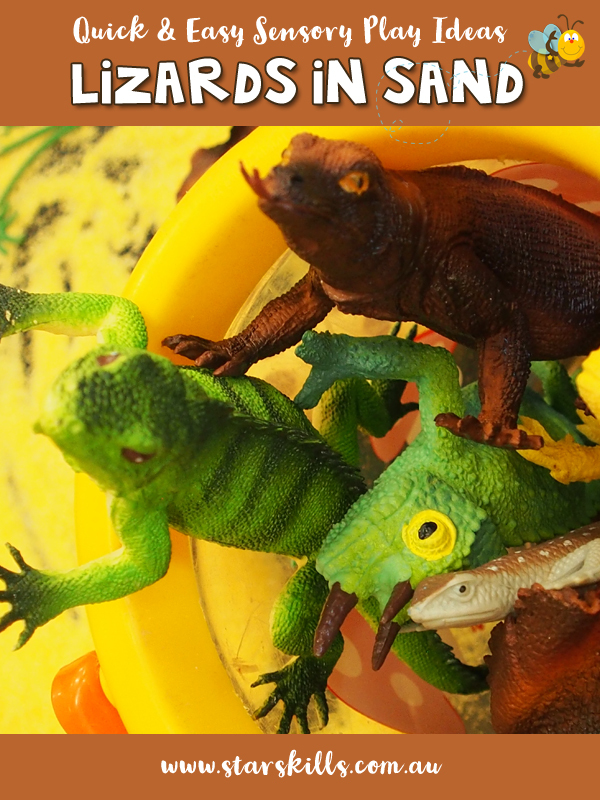 For all your little reptile lovers they will love playing in the desert when you set this up for them! 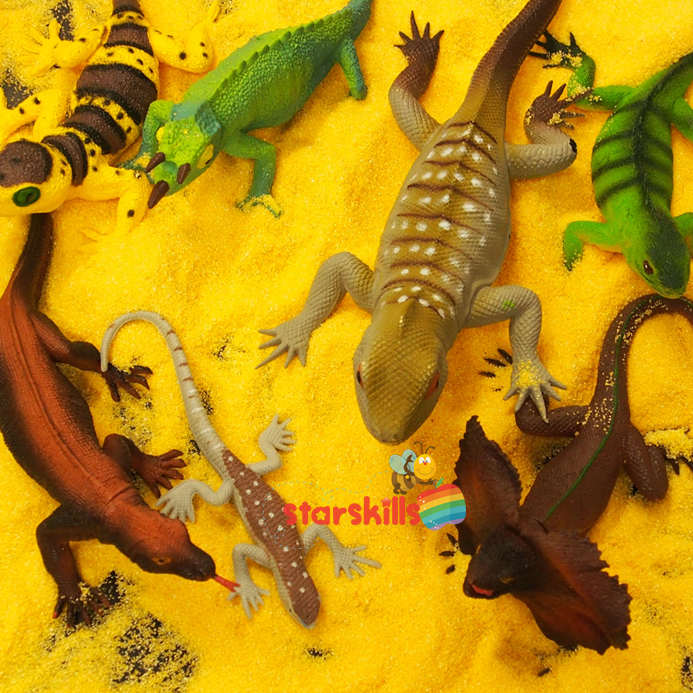 All you need are toy lizards, snakes and a few bags of polenta! 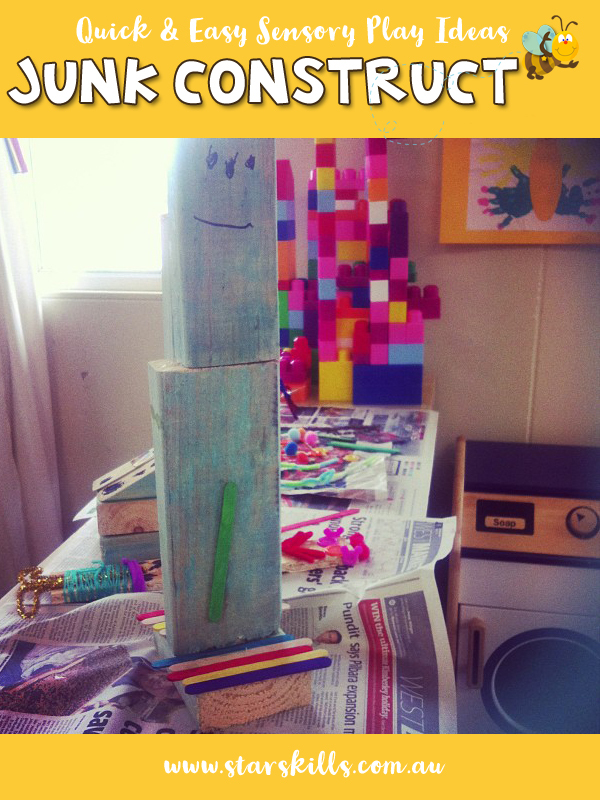 Isn’t is amazing that a few simple resources can spark so much play, creativity and imagination from within a child? 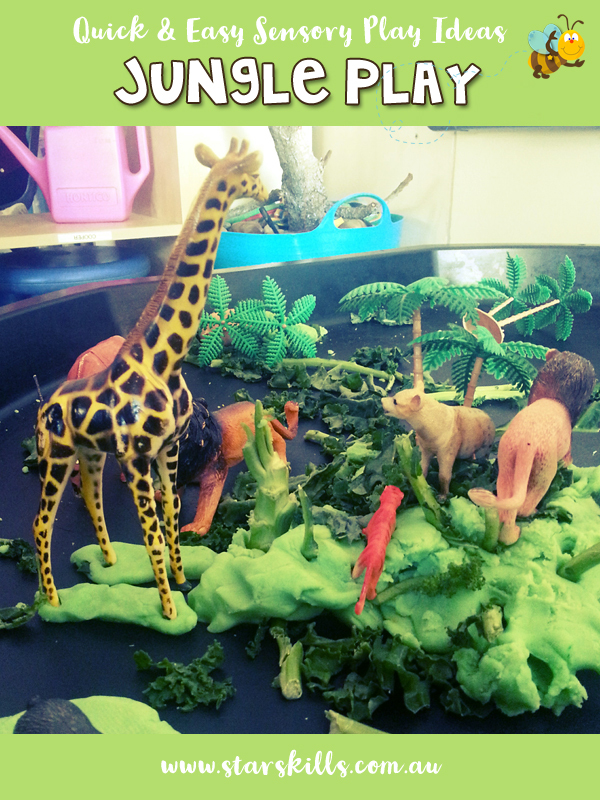 Green play dough, plastic toy animals and kale! The kale was a great addition. The children used the kale for food, trees and grass. Some children had never seen kale so I encouraged them to have a little taste too. 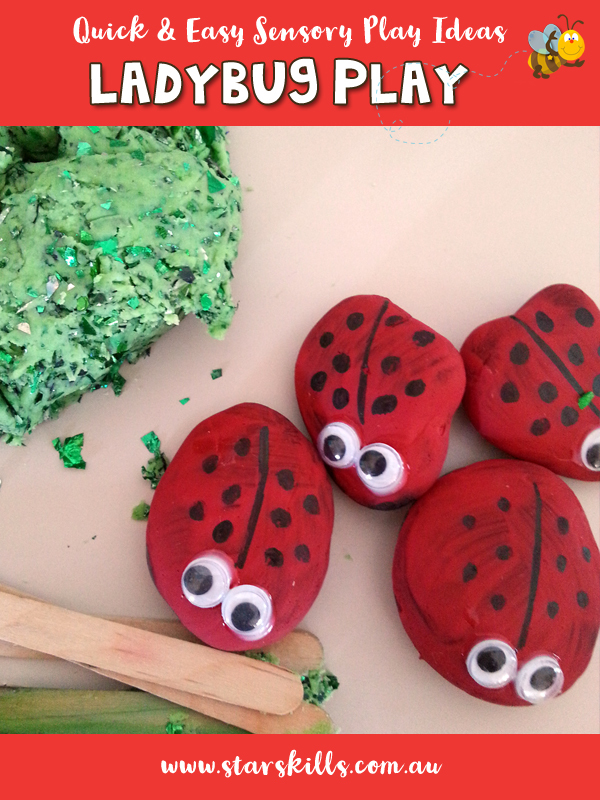 Play Dough – My Favourite! 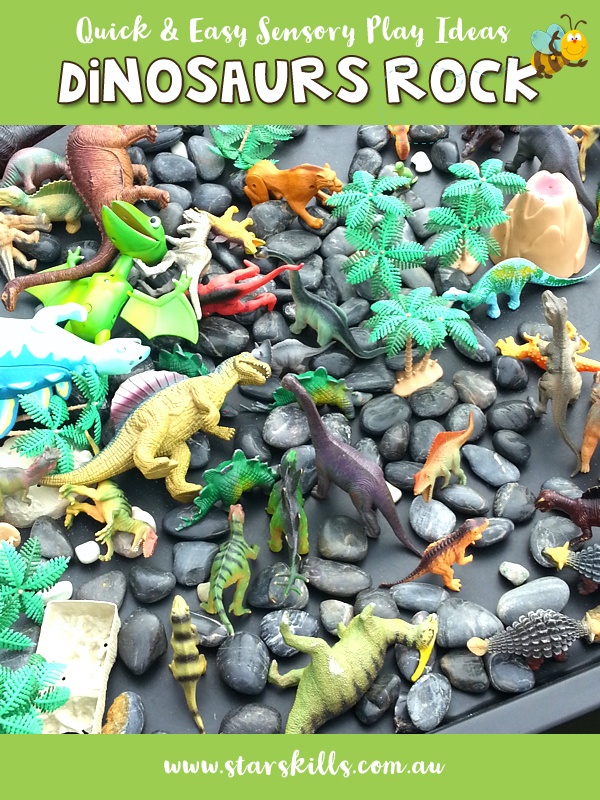 If your kids become interested in Dinosaurs and you need a sensory play idea then you can have fun doing a Dinosaur Fossil Dig! 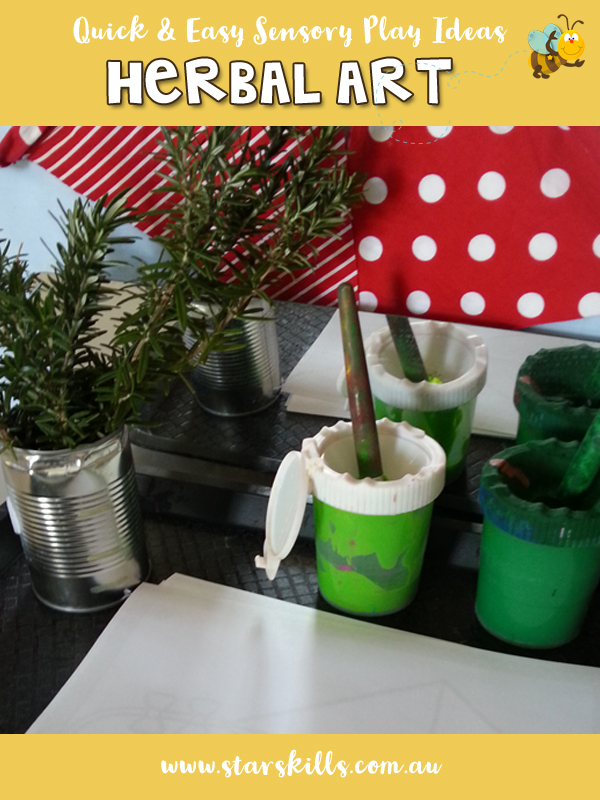 We made dinosaur footprints with magiclay and we painted these brown so they looked like fossils. 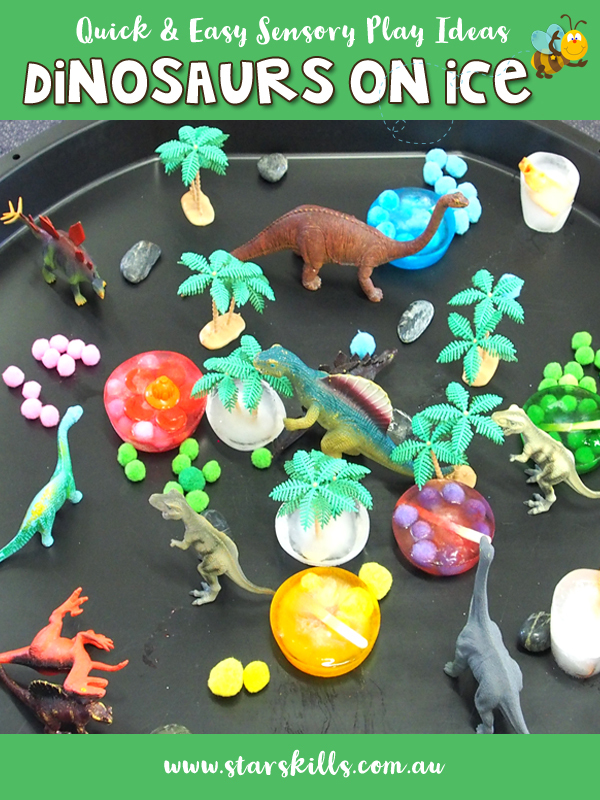 The sensory tray was filled with flour, spaghetti, heaps of gold glitter and we hid the fossils. Children had to find he follsils and we gave each child a paint brush so they could be true palaeontologists and dust their findings! Very fun and engaging! We had a wonderful day with balloons. Balloons are a wonderful supply to have on hand. 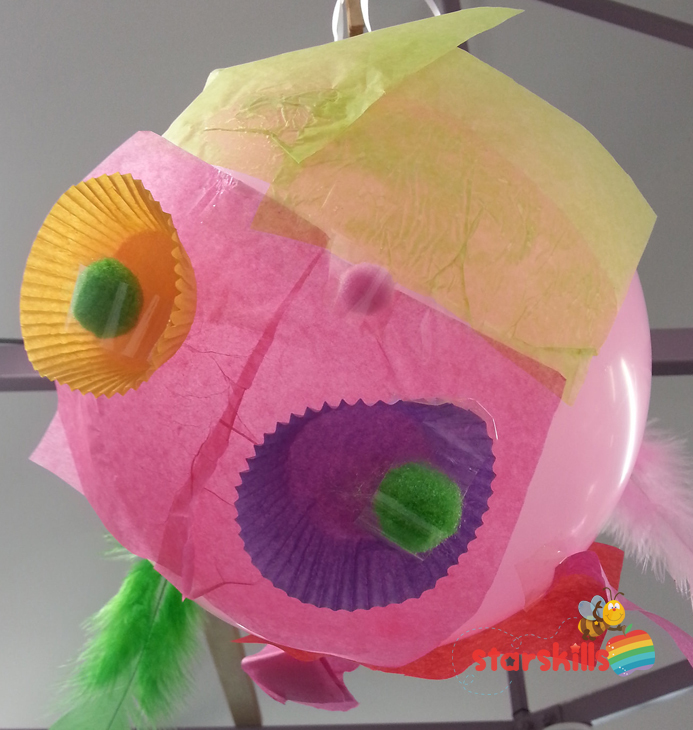 We used fly swats to hit the balloons, painted with them, used them to create an art work. 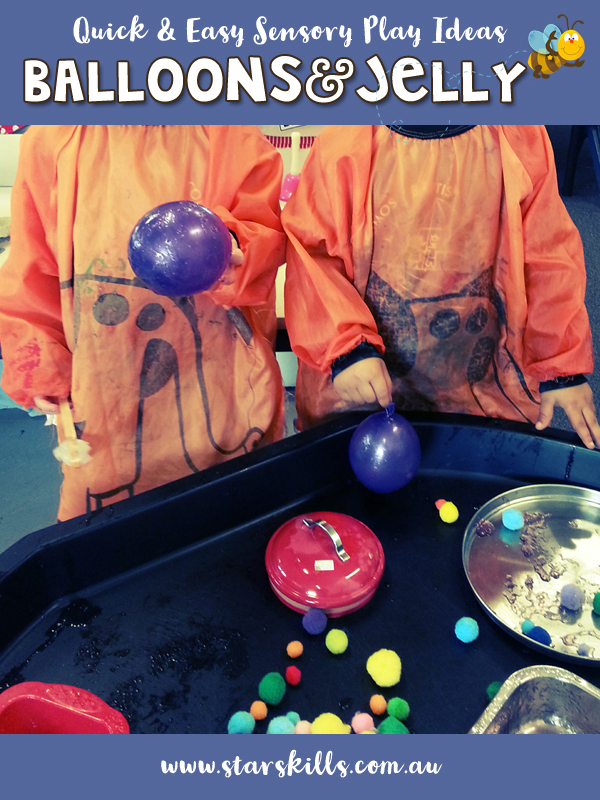 Click here to find out more about our fun balloon play day. Good is a wonderfully fun and contradictory sensation. It is hard, soft, slimy! What do children learn when they Sensory Play? As an educator a quality sensory program will develop many aspects of a child’s growth according to the Early Years Learning Framework – EYLF. Sensory Play incorporates so many EYLF Outcomes and is essential to include in any quality early learning setting. Children will work independently and take risks by touching things that may be new and unfamiliar. Interacts in relation with others with care, empathy and respect. Children will work alongside other children and share materials and resources whilst taking turns and speaking kindly to one another. Children will work side by side and appreciate another child’s point of view. Children will learn to speak kindly and with manners as they play together and explore sensory learning experiences. 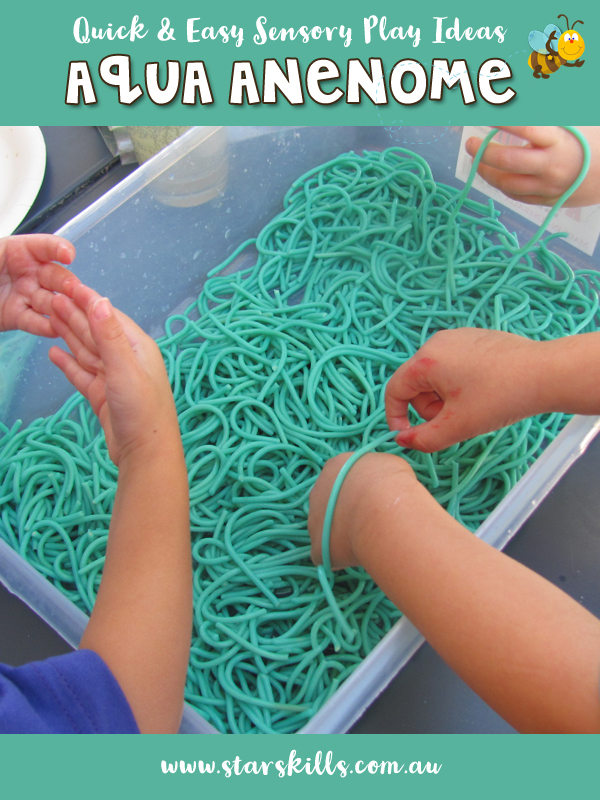 Children learn to collaborate and cooperate with peers during sensory play. Children will learn to take turns and cooperate with one another as they play and engage in sensory experiences. 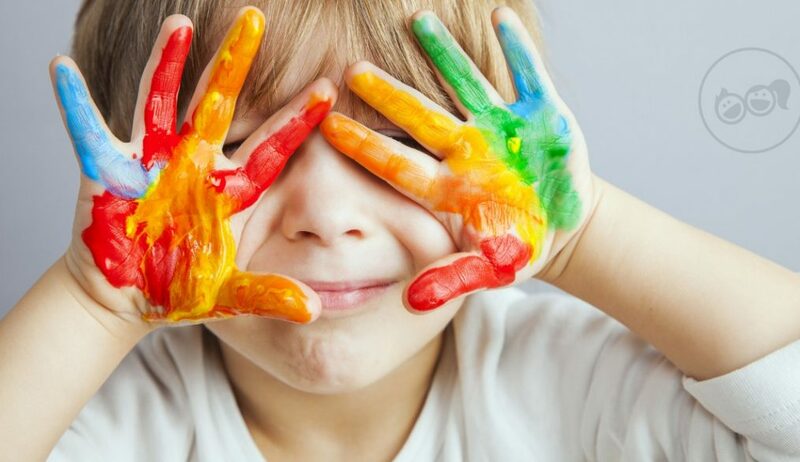 Children have the opportunity learn and experiments through sensory play they are in control of their play and in turn develop confidence and ability to make decisions. Children will learn to regulate their emotions as they cooperate and collaborate with other children they are playing alongside Sensory Play is beneficial for children who may be irritated or need comfort. Children also learn how to relate to one another as they talk and share their thoughts and feelings with others. 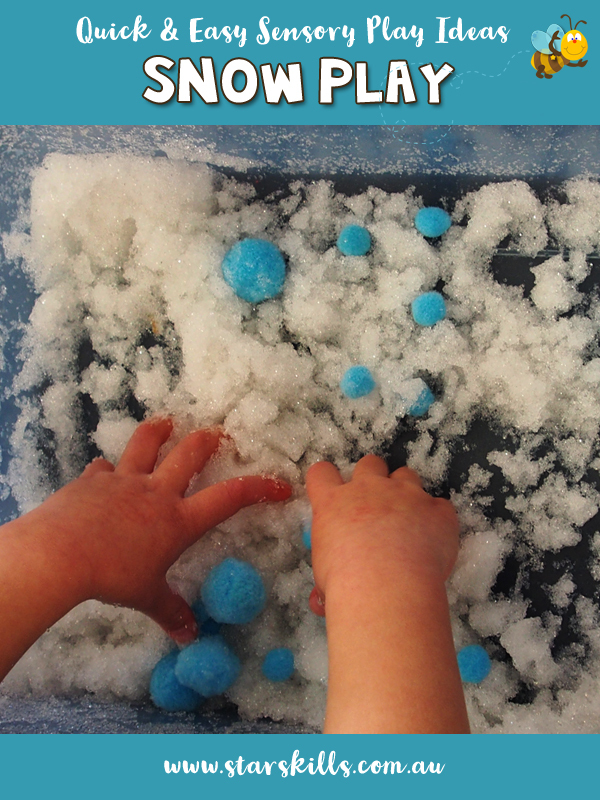 Children will demonstrate how to wash and dry hands before and after sensory play experiences. Children will be able to identify hazards and address them. For example if an element falls on the ground they are able to talk to an adult or start to clean up or pick up the hazard. 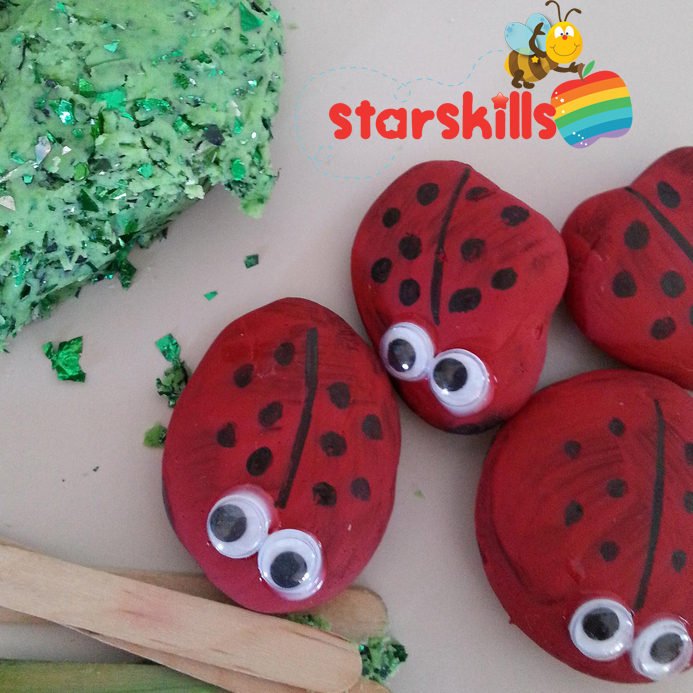 Children will develop practical skills such as wiping surfaces and using a dust pan and brush. Children will be willing to try new sensory play experiences. Children by exploring and investigating new sensations will develop in their risk taking and be willing to try new things. Develop a range of skills and processes such as problem solving, inquiry, experimentation, hypothesizing, researching and investigating. Children will develop in their science skills including making predictions, observations and widening their analytical skills. 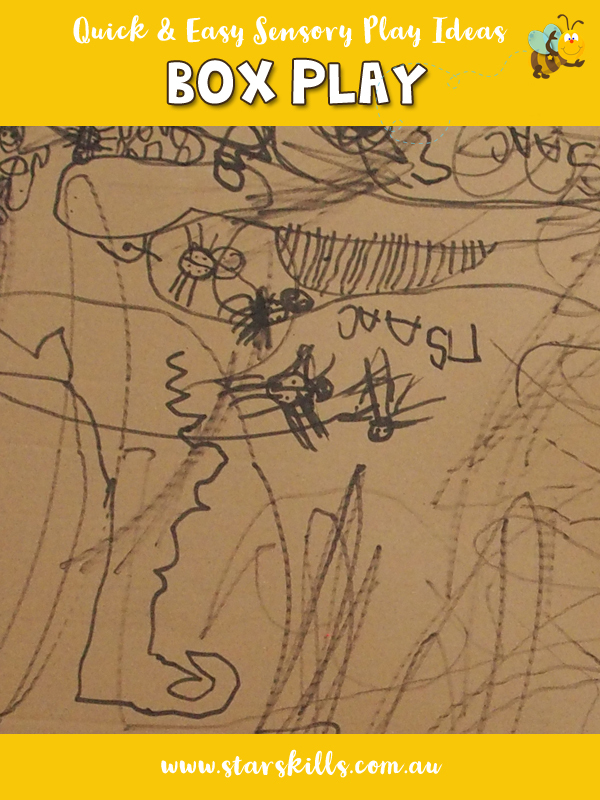 Children will develop expressive and descriptive language during sensory play. 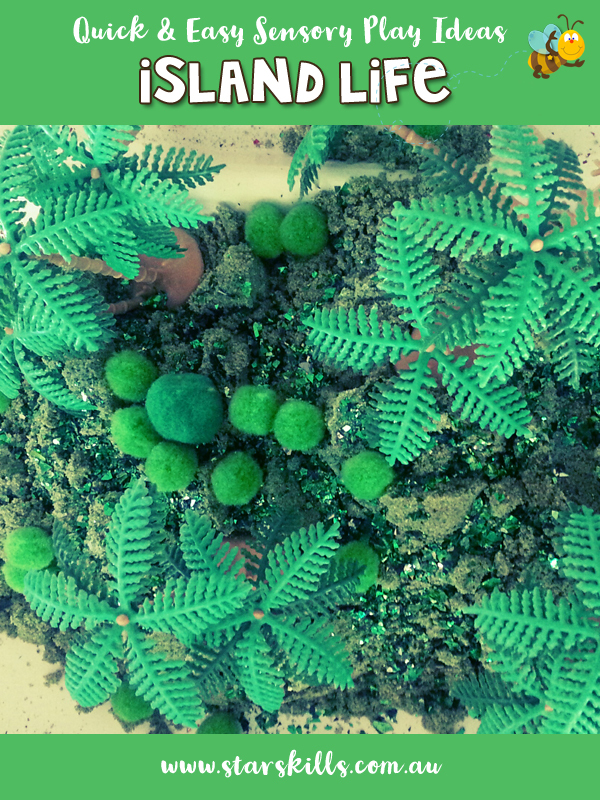 There are a number of fantastic benefits to the children and to your early learning program when you introduce a quality Sensory Play to your early leaning environment. In todays world with the access to technology this form of play is being lost. 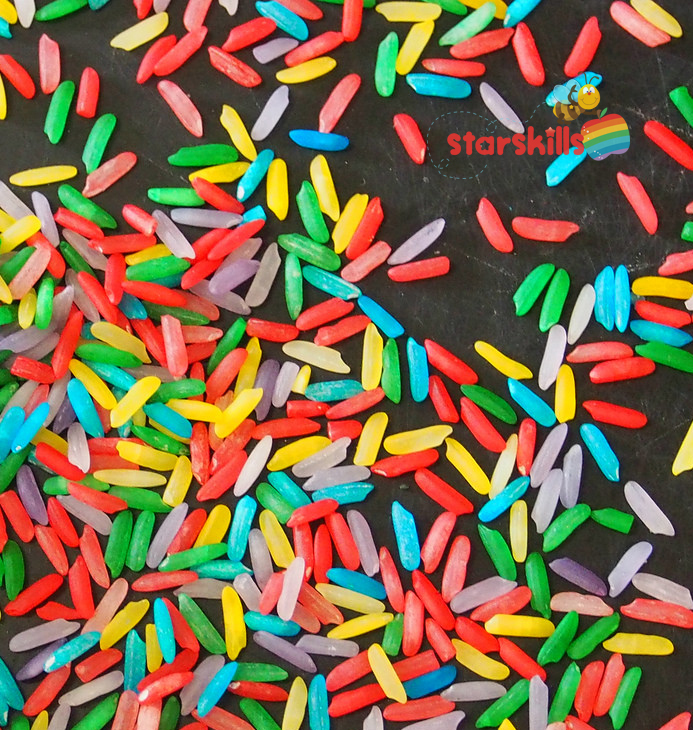 It is imperative that educators value sensory play and promote it as valuable. Here are some excellent benefits of sensory play that you can educate and inform your parents and caregivers. Help them to see it is of value to their child’s development. 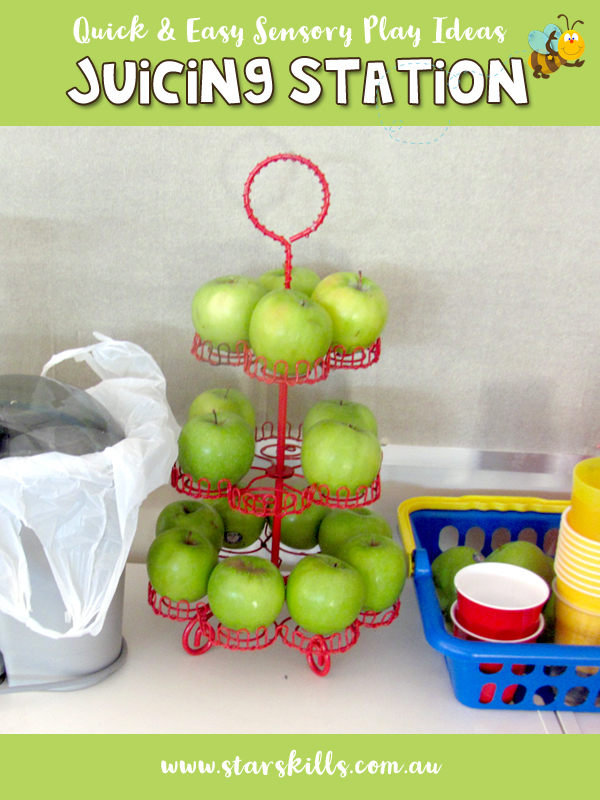 Children learn to estimate, order, count, time, match, estimate, classify, sort, understand concepts such as more/less, heavy/light, sink/float, cause and effect, gravity, material properties. 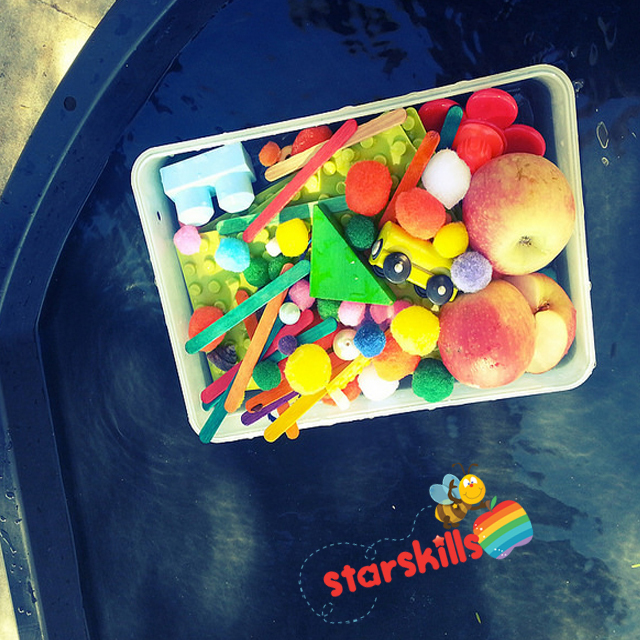 All of these skills promote the mathematical and scientific development of young children all through sensory play! Children talk when they are having fun! Talking to and “practicing” talking develops speech and helps children to develop correct sentence structure, expression and descriptive language. 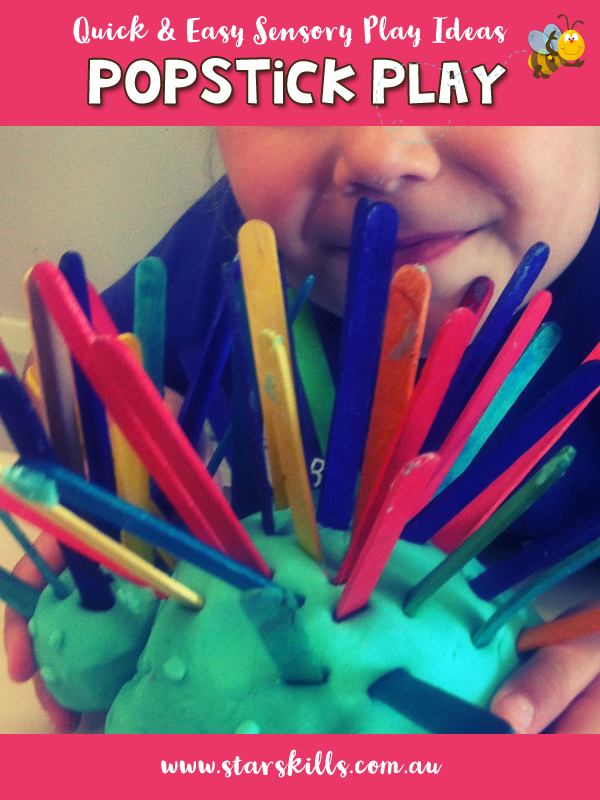 Sensory play helps children to focus on what they are feeling. 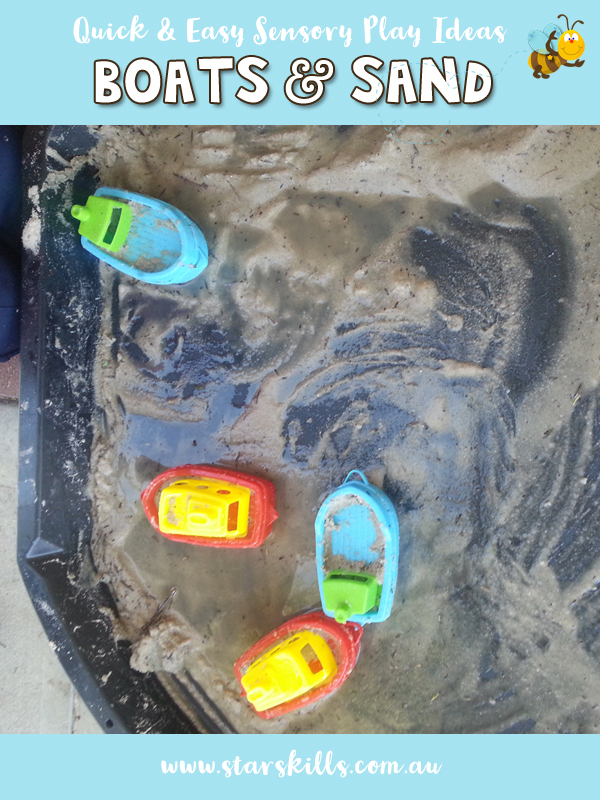 For a child’s social and emotional well being messy play helps children to stay calm . Children learn to regulate their emotions as they cooperate and collaborate with other children they are playing alongside. Children also learn how to relate to one another as they talk and share their thoughts and feelings with others. These skills are extremely important for young children as they grow in confidence and resilience. 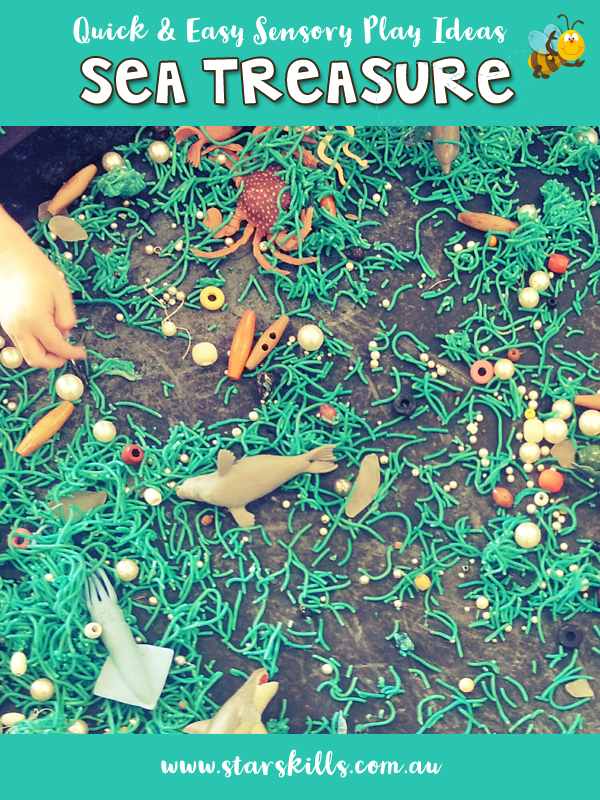 Sensory play helps children to develop both fine and gross motor skills. As children use their pincer grip, pick things up, measure, pour and manipulate objects they develop their fine motor skills. As children explore and run, stomp and more they develop their gross motor skills. Sensory play allows opportunities for children to engage creatively with materials and resources without restrictions. With this freedom they can develop their imaginations and their individual talents. Children problem solve, make decisions, take risks and become independent learners as they engage in sensory play. All these wonderful characteristics allow for creative development. 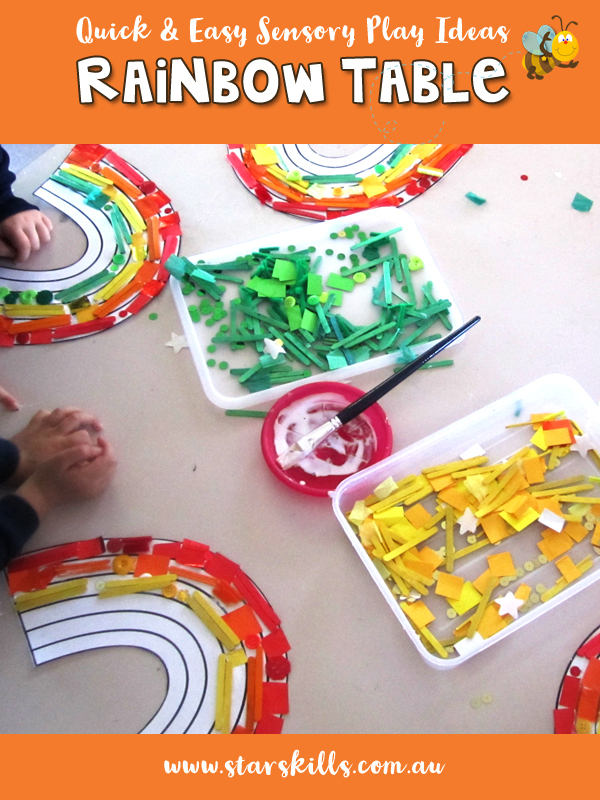 It is essential that educators provide the materials and let children decide how to play. We must be mindful to not put up barriers to play but allow children the time and freedom to play so creativity is allowed to flow! 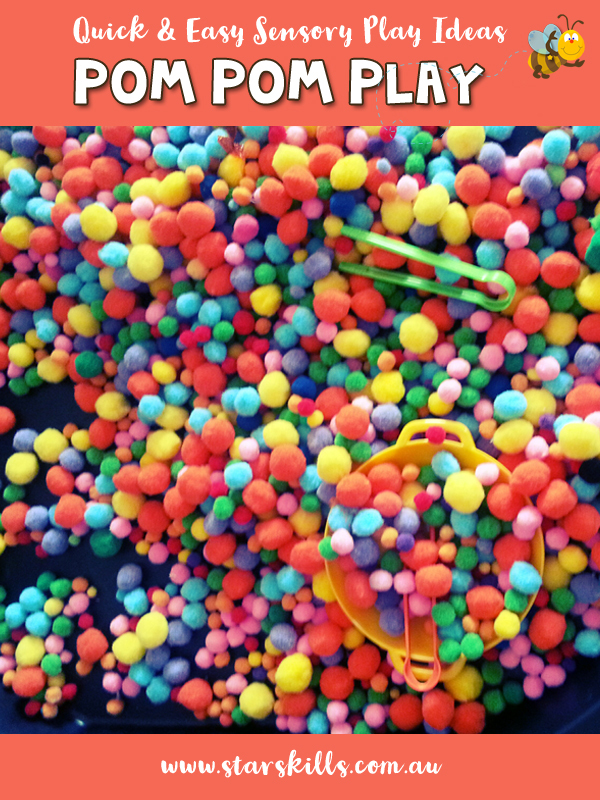 Sensory Play has so many benefits! The key to my Sensory Program is having my community involved. 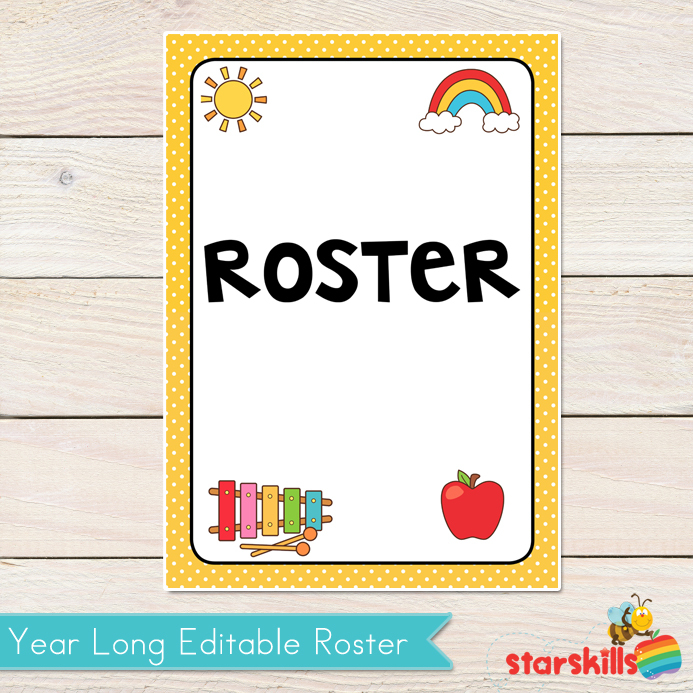 With my editable Roster you can be just as organised! 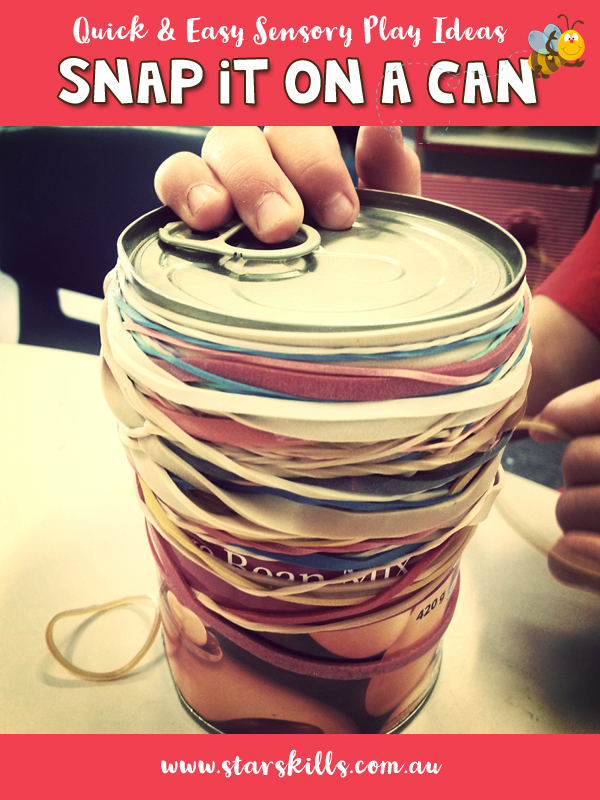 Sensory Play can be a costly program to maintain. Each week I have a fresh batch of Homemade Play Dough delivered with a parent. Each week it is a different colour. 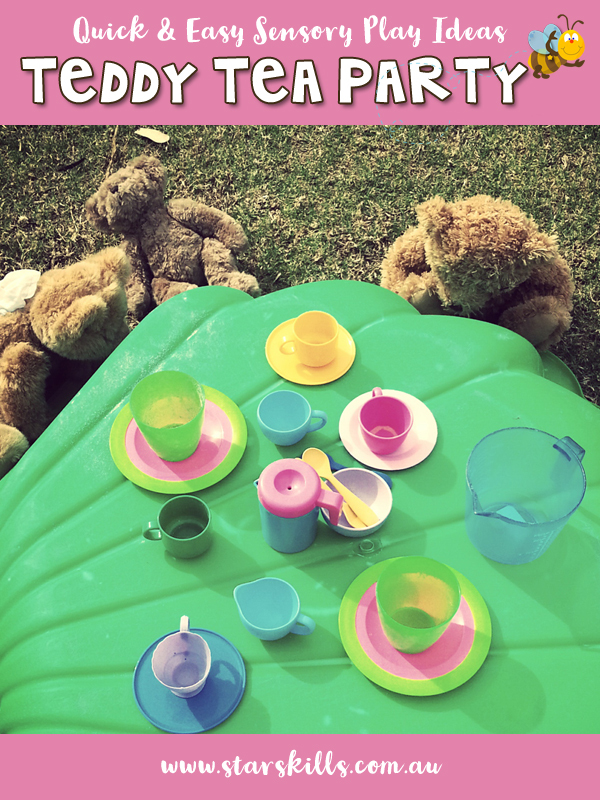 Parents are also encouraged to bring in a few supplies.I have included sensory play recipes for parents to they do not feel overwhelmed when it is their turn to be on the Sensory Roster. 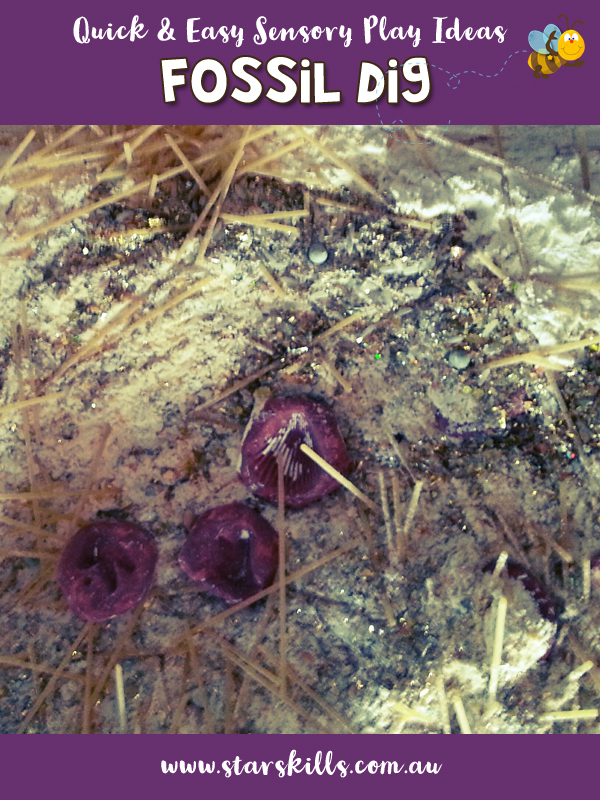 When we share the creation of sensory experiences it is easy to implement. 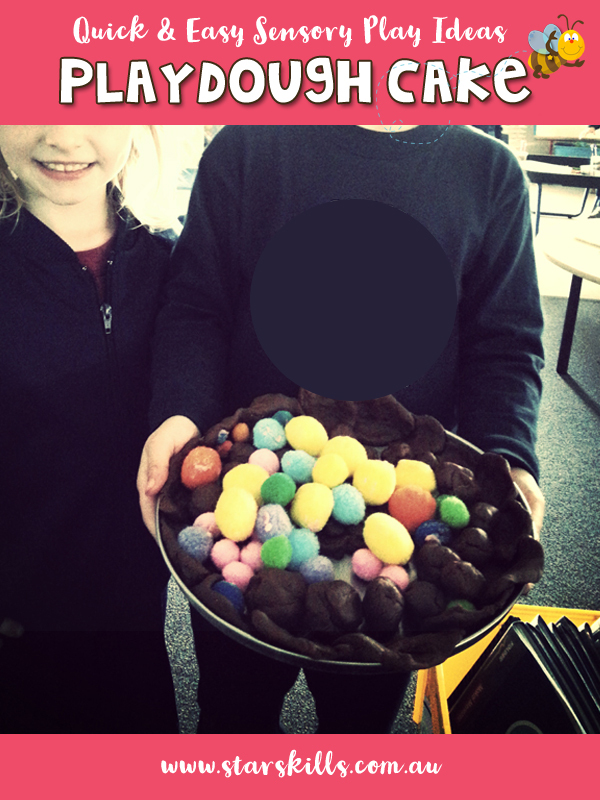 At the end of the day we want the children to benefit but we as educator’s are busy and there is a lot to do each day without making play dough and other sensory play items. In my experience parents want to help they just need us to provide the organisation behind the program to allow them to contribute and be a part of their children’s learning! 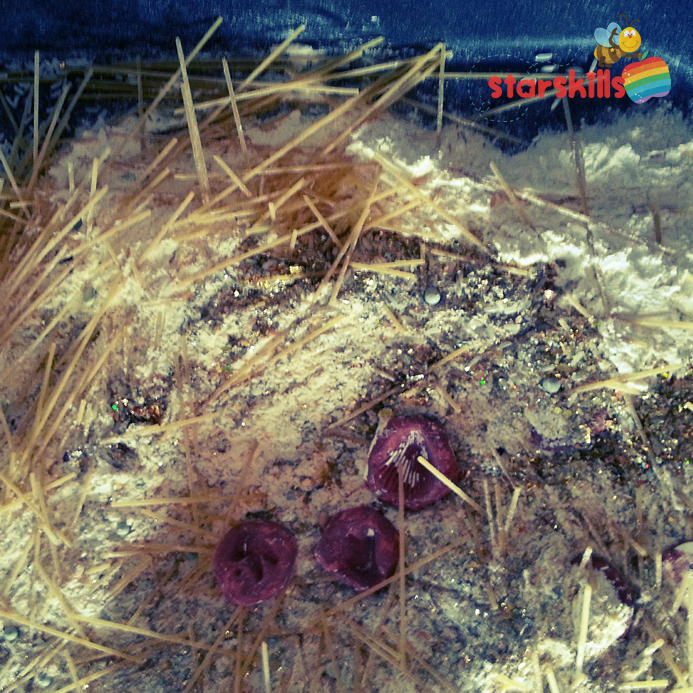 Sensory Play – Look What We Learnt Today! Sensory Play needs to be valued and learning communicated to the wonderful parents in each community! 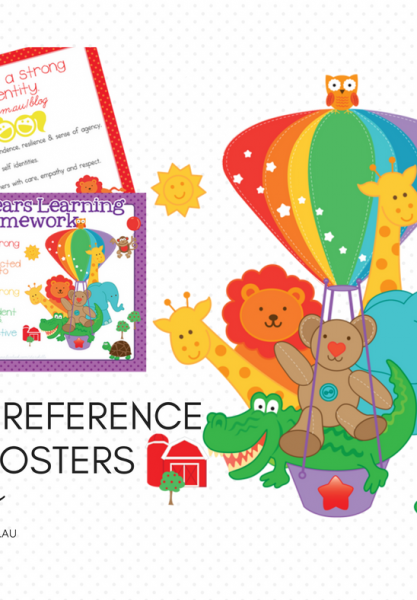 Show them what your children are learning by creating these fun posters for your early learning setting! You can display these for parents or add them to your Learning Journey folders and even Portfolios. 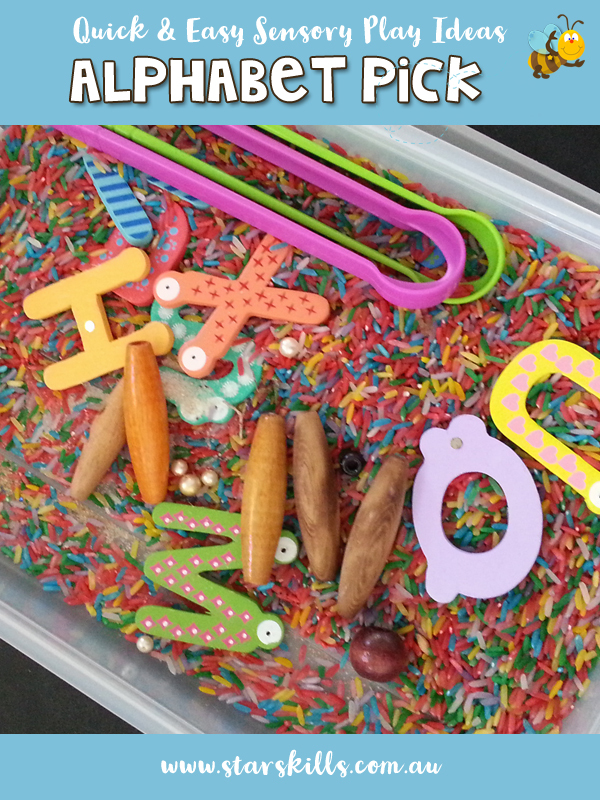 Sensory Play Learning Centres makes organising your play much easier. 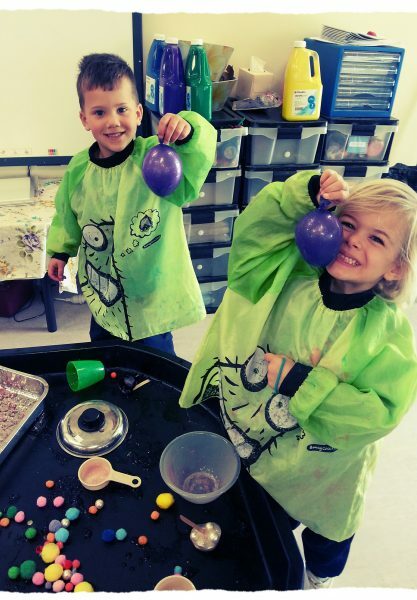 Each sensory experience can be designated to a specific play area in your class and it is easy to change and add variety to the sensory experiences you are offering to your children. Keeping things fun, new, stimulating & sensational!